The demand for advanced medical solutions is exploding. The market dynamics of an aging population, a global increase in healthcare spending, regulation and reimbursement pressures, and the industry response to consolidation and restructuring have combined to disrupt one of the largest markets in the world. In order to sustain this expansion, we are looking to extend our Hardware Development team with new colleagues. Accelerating Health Solutions of the Future The demand for advanced medical solutions is exploding. The market dynamics of an aging population, a global increase in healthcare spending, regulation and reimbursement pressures, and the industry response to consolidation and restructuring have combined to disrupt one of the largest markets in the world. In order to sustain this expansion, we are looking to extend our Hardware Development team with new colleagues. Advanced English skills in communication (written and verbal form). Professional growth opportunities in the dynamic sector, medical devices/equipment development using cutting edge electronical/mechanical technologies. Chance to work in a well-established multinational and multicultural company, to get in contact with wide variety of medical customer and suppliers. Development plan for professional growth including trainings, online courses and conferences. Yearly bonus based on company growth and individual achievements. Private medical insurance (Allianz) OR Private pension (NN). Access to gyms and fitness centers across the country for you and your spouse (7Card). In order to sustain this expansion, we are looking to extend our FW/SW Development team with new colleagues. Degree in Electrical or Software Engineering and a minimum of 3 years of FW/SW design and development. Professional growth opportunities in the dynamic sector, medical devices/equipment development using cutting edge software/electronical/mechanical technologies. Graduate in Computer Science or equivalent and a minimum of 2 years of Mobile app design and development. From a diagnostic dongle that explains why your check engine light is on to collision avoidance systems, breakthroughs in automotive solutions are dramatically changing the driving experience. Soon, in-vehicle services and automated driving capabilities won’t be just for luxury vehicles. Intelligent, connected solutions will be standard in every vehicle, improving safety, increasing efficiency, reducing fuel consumption and enhancing the way we experience the road. Soft Skills: Customer Orientation, Learning Agility, Adaptable. Languages: English – business fluent. Professional growth opportunities in the dynamic automotive sector. Full access to gyms and fitness centers across the country for you and your spouse (7Card). Professional growth opportunities such as trainings, online courses and conferences. Join the automotive revolution with advanced connectivity and mobility solutions From a diagnostic dongle that explains why your check engine light is on to collision avoidance systems, breakthroughs in automotive solutions are dramatically changing the driving experience. Soon, in-vehicle services and automated driving capabilities won’t be just for luxury vehicles. Intelligent, connected solutions will be standard in every vehicle, improving safety, increasing efficiency, reducing fuel consumption and enhancing the way we experience the road. Are responsible for the Software Design and Development regionally as part of a European Automotive Software Engineering Project team for our products: body domain controllers, DCDC converters, recuperation modules, overhead consoles. Do you want to join a truly global company? Do you want to join an amazing team where results count and team work matters? Located in Timisoara, a new Industrial segment team will work with the Lead Design Center based in Althofen – Austria. The industrial segment will be developing: smart communication technologies, home appliances, beverage machines and more. As a Senior Hardware Development Engineer you will work with the design team members and you will be responsible for complex system and board level design in order to meet customer’s requirements from development of conceptual prototypes and architecture through development into full-scale production. Self-motivated, Well organized, Proactive and with Good communication skills. We believe in easily gathering data to improve business so we're developing a powerful online form builder that allows anyone to create forms and surveys as easy as 1-2-3. With 3 brands in our portfolio and an investment from 3TS Capital Partners, we're rapidly growing and looking for an exceptional Web Designer to join our team in Timișoara. The person we’re looking for is a well-rounded individual with a strong visual sense, a passion for branding, illustration, and typography, and a desire to craft beautiful, responsive and easy to understand web pages to engage and inspire our users.users. Plan, design, and build web pages, email campaigns, and other digital assets. 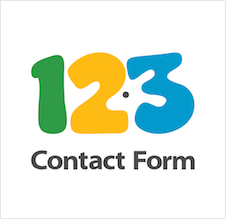 Build a bold, recognizable brand for 123ContactForm and summarize it in easy-to-follow web guidelines. Present the marketing content visually so information is easy to read, easy to understand and easy to find. Participate in user research and usability studies. Communicate design intent to development teams. Clearly rationalize and justify your design work. Collaborate and develop mutual respect and trust with the marketing, development, and design teams. Bachelor’s degree in a design-related field, or equivalent practical experience. 2 years of experience designing and building responsive, mobile-first web pages. Proven ability to execute high-level creative designs. A love of typography, branding, and illustration. Experience using design software such as Sketch, Photoshop, Illustrator, InVision, Zeplin, and the like is a must. Basic HTML5 and CSS3 skills are very well appreciated. Must have a portfolio featuring examples of web design work. Opportunity to work in a young and well-established international company where what you do has a direct and immediate impact. Moreover, you will work in an office with a modern take on work, and feel like in Silicon Valley. Our benefits include: birthdays celebration with cakes and gift vouchers, social gatherings and events, workshops, hackathons, happy hours and company retreats, access to relaxation rooms with Xbox, ping pong, and board games, daily on-site massage, basket full of fruits daily and breakfast snacks, rivers of coffee, tea and soft drinks. We believe in easily gathering data to improve business so we're developing a powerful online form builder that allows anyone to create forms and surveys as easy as 1-2-3. With 3 brands in our portfolio and an investment from 3TS Capital Partners, we're rapidly growing and looking for talented web developers to join our team. Our systems are 100% built on the scalable infrastructure of AWS. We're working with cutting edge technology to measure and understand user behaviour and ultimately take data-driven decisions. We believe in easily gathering data to improve business so we're developing a powerful online form builder that allows anyone to create forms and surveys as easy as 1-2-3. With 3 brands in our portfolio and an investment from 3TS Capital Partners, we're rapidly growing and looking for talented web developers to join our team. Our systems are 100% built on the scalable infrastructure of AWS. We're working with cutting edge technology to measure and understand user behaviour and ultimately take data-driven decisions. We're looking to hire Front-end Developers with all levels of experience. Built in Timisoara: cloud solutions for business communities & a business app store with value-added apps for transactions, invoices and other documents. The future inspires us. Work closely with PO, QA and Devops to build qualitative web applications. Familiarity with AWS, Jenkins, Vagrant, Jira, Agile, Concept of Business Process Workflow. 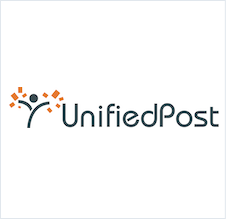 You can send your application to hr-romania@unifiedpost.com. We’ll treat it with care. Have worked before with: XML, JSON, YAML. Test driven design, automated testing and continuous integration. Take initiative and develop innovative approaches / ideas. Interest in or exposure to smart energy and IoT systems. Good debugging skills and problem solving abilities. 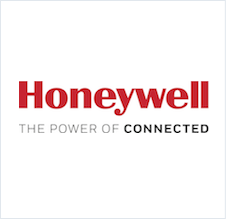 Honeywell is the leader in gas detection, fire systems, personal protective equipment, building controls, home comfort and security, and scanning and mobility. Our products and solutions give customers the ability to capture more and better data faster and across a wireless landscape, improve productivity, safety, and security, drive better decision making, and reduce costs. We are at work in 150 million homes, 10 million buildings, 5,000 industrial facilities, and hundreds of gas and electric utilities worldwide. Honeywell delivers complete end-to-end Smart Metering and Energy Management Solutions that drive energy efficiency, operational improvements and cost savings for utilities, industrial customers and consumers. Its multi utility offerings, which are interoperable by design, include distribution monitoring and control, advanced Smart Metering, demand response, networking and software solutions. People are our ultimate differentiator. Bring your passion to a fast paced and professional work atmosphere. Develops a framework for test automation based on the currently JAVA/PYTHON based available tools. Designs and executes automated test scenarios. Determine if requirements are clear, concise, and testable and meet customer expectations. Interpret requirements to develop positive and negative test scenarios. Perform test design reviews and incorporate stakeholder feedback. Develop and maintain test execution steps in an automated framework. Provide accurate estimates for test design and execution work. Perform manual and exploratory testing as needed. Develop/utilize tools and programs to facilitate testing. Identify, analyze, and troubleshoot problems. Document and communicate test results. Document and track product defects. Adhere to team priorities and work well in an integrated developer/tester environment. Familiarity with QA tools and techniques, bug tracking systems, test design and execution, test case management tools. A BS/MS degree in computer science or related technical discipline is preferred. 3+ years demonstrated experience automating tests. Experience using SQL for test setup and validation. Ability to read, analyze and interpret technical documentation in English. A working knowledge of the software development cycle and modern software engineering practices. Preferably experiences in Object Oriented Analysis/ Object Oriented Design methodologies and life cycles. Good analytical & communication skills, good English skills in writing, reading and speaking. Ability to work effectively as a member of a team in an international environment or independently required. Ability to clearly and concisely communicate technical information of a complex nature in verbal and written form required. Previous experience in automatic tests using test tools like Selenium is a plus. Knowledge of performance and scalability test strategies. 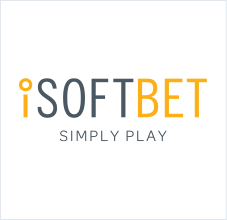 • You will be part of a software engineering team that is responsible for the development and for the maintenance of our smart metering platform. • You will be responsible for the analysis, design, development and testing of new components, according to provided specifications. • You will be responsible for the maintenance and for third level support of the existing protocol installation base. • You will be working closely together with international colleagues. • You will be a key contributor in our Agile software process and participate in the Agile ceremonies. Honeywell is a world leader in measuring and improving the flow of natural gas, electricity and water in more than 130 countries. With one of the most extensive installed revenue measurement bases in the world and more than 200 million metering modules deployed over the course of the last 10 years alone, Honeywell is enabling the vital connections between technology and Earth’s energy and resources for our global community. Our diverse portfolio of products and solutions is used to accurately and reliably measure gas, electricity and water consumption as well as enable energy efficiency and conservation. Honeywell employs more than 7,000 staff and operates in more than 39 countries. Our Smart Grid Solutions Division, located in Raleigh, NC engineers award-winning Smart Metering systems and Smart Grid system solutions that help utilities improve their revenue cycle services, customer service, delivery reliability, and enable efficient energy usage by utility consumers through demand response and in home networking capabilities. Honeywell’s EnergyAxis advanced metering infrastructure (AMI) system is deployed with more than 90 utilities around the world, with 4.5 million meters online in North America, Central America, Caribbean and the Pacific Rim. Will develop firmware for microcontrollers for solid-state electricity meters and AMI (Advanced Metering Infrastructure) and AGI (Advanced Grid Infrastructure) devices used in utility communication systems. Design and architect the product, evaluating and validating design alternatives to create optimum products/systems to maximize function/cost ratio in an agile environment. Work with firmware and system verification teams to develop test plans to verify functional compliance of the design to its specification. Carry the design from concept to manufacture according to the product development process. Modify existing embedded firmware to fit unique customer needs and configurations. Bachelor’s degree in Computer Science or Electrical Engineering. Position involves creating and executing automated testing for firmware of microcontrollers for utility meters & communication devices used in residential, commercial, and industrial metering applications. Responsibilities include creating formal test plans based on requirements and design specifications, developing automated test scripts, executing automated regression, and investigating & recording the results. This may include new test script development as well as support, maintenance or enhancement of existing test scripts. Contribute to the development of project goals and schedules. Independently write, execute, and maintain automated test scripts. Proactively identify obstacles that can impact schedule. To analyze any customer specifications when closely aligned with defined products or solutions. To coordinate & track (scheduling/testing/quality) specific development activities performed by 3rd parties. To support the provisioning of customer/3rd party training services.To provide customer support during nursing period. Actively involved in migration activities and initial system load activities. To perform 2nd line support activities. At Honeywell, we share a passion for technology, innovation and creativity and the unwavering belief in its ability to transform lives and the world around us. This passion drives everything we do and we are looking for a new colleague that is driven by a desire to contribute, be challenged and grow. Our people make Honeywell a special company and are our key regarding competitive advantage. To join the Smart Energy team in maintaining and on-developing complex real-time embedded smart meters application software. Firmware Development of Embedded Systems for electronic smart energy meters and communication modules. Develops innovative solutions for future products. In depth technical background in whole life cycle development of complex embedded systems. Experience of working with Real Time Operating Systems. Knowledge and experience of Object Oriented Programming (C++) software development. In depth Experience of low-level development for Real-Time systems using C++ and C (knowledge of assembler would be advantageous). Experience of Configuration management and version control systems. Knowledge and experience of the latest software analysis, design and test methods and tools. Knowledge of microprocessor-based hardware system design. 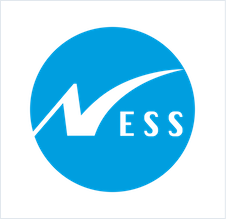 A SW Application Engineer is a software oriented polyvalent application engineer active in different domains within delivery and support activities, incl. the development of customizations. Responsible for technical design creation/validation for a given functional analysis. Contribute to the overall project SW quality level through peer review & internal training/coaching. Participation in setup of necessary system and tools to support SW delivery activities. Responsible for development coordination of internal and external development resources through agile based, agreed best practises like standup meetings etc. Define & give customer specific training based on specific custom requirements. Involved in service effort estimation activities on request by project management / account management/product management for new projects or standard change requests. Heavily involved in 2nd line activities. Minimum 2 years of operational experience with ICT projects, preferably covering both hardware and software. Easy & professional interaction with customer and internal parties. Preferably experience with back-end system integration and system migration activities. A SW Test Engineer takes part in the FAT (Functional Acceptance Testing) phase during the course of a SW delivery project to ensure new components and functionality meet the agreed functional standards before being delivered to the customer. Thoroughly analyze functional analysis, technical designs, standard & solution documentation in timeframe indicated. Provide feedback on possible gaps/uncertainties to enable proper testing. Responsible to write detailed test cases (e.g. preconditions / actions / expected results / attachments…) to maximize testing efficiency; in SW testing application (qTest). Execute test runs; and document the results in SW testing application (qTest). Maintain & update project progress/tracking application (JIRA). Take part in stand-up meetings to discuss current issues & progress. If required, configuration of Elster/EnergyICT components to enable testing activities. Prepare and give demonstrations on new functionality (e.g. per release). Required to adhere to EnergyICT internal processes and deadlines agreed upon with Test Lead & PM. You will be responsible with the development and validation of algorithms applied to video camera sensors. We develop Advanced Driver Assistance Systems, an emerging and innovative field in the automotive business. Using video, radar and infrared sensors, our end products are “looking” around the vehicle, and take actions like making the driver aware of dangers, brake the car or even steer it out of the harm’s way. The final goal of this kind of systems is to help protect the lives of passengers and pedestrians alike. You will be responsible with the development and validation of algorithms applied to video camera sensors. This includes the mono and stereo vision technologies, both of them offering functions like obstacle avoidance, lane keeping, traffic sign recognition, headlight assistant, to name a few. You will be joining a team of worldwide experts in the image processing field. Our challenge is to create algorithms which are faster, more reliable, and able to run on high-end embedded systems. Daily activities include: algorithm requirement engineering, design and documentation of the concept, implementation for the target platform using C/C++, usage of dedicated simulation environments for testing. Would be a plus: Advanced image processing know how. We are looking for an experienced and passionate C++ SW Developer, with strong SW Architecture, Design and Development knowledge for Windows desktop applications. A good candidate needs to have a very good background regarding OOPD, Visual Studio 2010 (C++) and UML. Experience on WTL, Boost and COM programming will be a plus, as well as CAN, FlexRay, Ethernet, LVDS knowledge. In his responsibilities will be the Requirements Engineering, SW Architecture, Design and Development for the assigned modules, as part of the MTS Framework developed team – the ADAS Data Acquisition, Test and Validation system. Good English is a must. Good communication is a must. Experience in working with complex SW projects is a must. You will be part of a professional and dynamic development team. Our team develops a complete data acquisition, algorithms simulation and validation solution, including multiple sub-disciplines (SW, HW, OS), covering a large variety of responsibilities (PM, SW development, HW development, Deployment, Validation, Customer Support). We go step by step towards a fully automated driving and we enjoy every intermediary step, every new function implemented by ADAS for our Customers (Traffic Sign Recognition, Lane Detection, Object Detection, Pedestrian Detection, Head Light Assist...). A mentor will guide you to take over step by step your own responsibility after an initial training phase which will familiarize you with our products, tools, processes and organization. Advanced C++ and Object Oriented Programming knowhow. Also useful: knowledge of Windows development libraries (MFC, WTL or similar), COM, Boost. 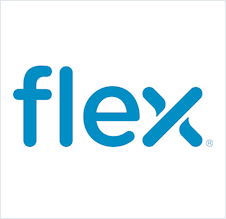 CAN, FlexRay, Ethernet, LVDS knowledge is a plus. Experience in working with complex projects is mandatory. 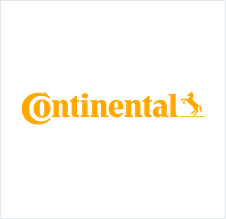 We’re looking for a creative, inventive and passionate researcher with algorithm development skills and fair experience in C++ software development, that wants that the result of his work to stand out from the crowd and also wants the confort and empowerment offered by a company like Continental. We are offering you the challenge to work in a Research and Innovation project for autonomous new vehicle concepts without drivers, embedded into a holistic new mobility concept for cities, having the opportunity to lead and develop pilot innovations in this field. The first important requirement is to be creative, with a logical and outside the box mindset, and to have good knowledge either in systems theory, physics, mathematics and geometry. Secondly, it is important for you to have the ability to test and evaluate new ideas and concepts in a systematic, research manner. For this, it would be a plus (but not required) to have some experience using quick code prototyping tools such as: Matlab, Python, etc. The third important requirement is to have fair knowledge and experience in C++ in order to be able to put your innovative ideas into software solutions. Beside these, it would be nice to have knowledge in some of the following areas, but not limited to: Bayesian estimators, vehicle localization, electronic map data for navigation systems, image processing, digital signal processing, statistical analysis. If you have a good technical background, you want to learn new things and you want to contribute to the development of the future cars implementing the latest features for drivers and passengers than join our team and let's develop the future together. The software specialists in our group develop applications for a wide range of customer projects. We develop software for Body Controllers containing applications like central locking, alarm, lights, wiper, diagnosis, energy management, etc. The software developers are performing different activities starting with requirements engineering, design, coding up to testing their SW on test-benches and/or on the car. We use also a wide range of software development tools using the latest technology in the automotive domain. Model based software design and automatic code generation is also part of the way we develop embedded software. We expect that the software developer should be able to analyze and understand customer requirements of an application, to synthesize a software solution, coding it and testing it first on the PC, then on the C target system, delivering it to the project for integration. English – intermediate level speaking and writing. Relocation Package for non-Timisoara Residents. If you have a good technical background, you want to learn new things and you want to contribute to the development of the future cars than join us and let's develop the future together. With 16 years of experience in Timisoara, the Interior Body&Security (I BS) business unit has a large product portfolio and ensures the confort, security and safety of passengers in the car. The most important products we develop are the body controllers, key & keyless access systems, tire pressure monitoring systems with wheel units, control units for doors, trunk, seats, mirrors, headlamps, sunroofs and other confort devices in the car. In Timisoara we develop most of these products working for most of the big car manufacturers (Renault&Nissan group, VW group, Volvo, Hyundai, Honda, GM). • Tire Information System: wheel unit and central unit for tire pressure measurement. Our workproducts are used on products with various microcontrollers, with 8, 16, 32 bits architecture. The software developers are performing different activities starting with requirements engineering, design, coding up to testing their SW on test-benches and/or on the car. Mostly ANSI C is used, as also, in a smaller range Java, C# and assembler language. Beside, the Model Based Development is more and more used on applications development (Mathlab Simulink, Targetlink, Statemate, Rhapsody). You will work on a new SW project for the above products for developing different functionalities: Diagnostic services, CAN communication, Power Supply, Resonator Coil Monitoring and Control, Air Gap Monitoring Management, Point to point communication, Power line communication, Current regulation for DCDC converter, etc. E-Mobility products are new in the portfolio of Engine Systems. They deal with products: On Board Charger and Inductive Charger for the batteries on the vehicle. Here you will work on a new SW project for the above products for developing different functionalities: Diagnostic services, CAN communication, Power Supply, Resonator Coil Monitoring and Control, Air Gap Monitoring Management, Point to point communication, Power line communication, Current regulation for DCDC converter, etc. The Software Project Architect defines concepts and describes Software Architecture for the above projects based on the requirements defined by the customers. As a Software Architect you will have to define the interfaces between software components, describe their dynamic behavior and manage resource consumption targets. In a large team working together for E-Mobility projects, we create the frame for your further personal development in project coordination, based on your performance. This will give you the chance to learn and gain an overview over engine management system. A mentor will support you to stepwise take over own responsibility after an initial training phase which will familiarize you with our products, tools, processes and organization. Cooperate within our international development teams and interface with our internal customers. Minimum 3 years of relevant experience in C/C++ development and test activities. Define software architecture for Head Up Display systems to meet Automotive OEM requirements with respect to functionality, performance, quality and automotive standards (ASPICE). Ensure implementation follows the defined architecture. Define software architecture for Head Up Display systems to meet Automotive OEM requirements with respect to functionality, performance, quality and automotive standards (ASPICE). Ensure implementation follows the defined architecture. Collaborate with multi-location architects to ensure the whole product performs according to requirements. Optimize architectural solutions, identify and manage risks. Setup general rules and guidelines for design and development. Minimum 5 years of relevant experience in C/C++ development and test activities. Our team is all about getting stuff done. We are pragmatic problem solvers who pull from a diverse technology tool set. We’re one of the few legitimate companies offering high-paying jobs that are 100% remote, work from home. You never have to fight traffic to the office again and you have the freedom to choose when and where you put in your 40 hours to be most effective each week. However, it is important to note that while you will work as a "contractor," these are long-term contracts that should be your only source of employment. You are not permitted to work additional jobs on the side. Please do not apply unless you are available to make this position your sole employment. To qualify, please provide a resume/CV demonstrating the required experience and skills. From there, to help us find the top 1% of talent, there will be a series of interviews and online skills examinations. We realize these are challenging and can require a decent amount of time - so we thank you in advance for your efforts. As the owner for the architecture and technical delivery of a multi-million dollar revenue per year enterprise software product, you will effectively work as the CTO of the engagement with a startup mindset, wearing multiple hats from lead architect and developer on the most complex elements of the product to technical team leader and solution evangelist. It’s your responsibility to ensure that the customers are blown away by the technical differentiation and quality of the product. We want to give you the ability to look at code in ways it has never been looked at before, to understand the interdependency in the code. We are empowering software development and creating higher quality code by using the latest technologies and toolsets. We are excited about using data to make decisions, we are bringing big data and analysis to software development. We are on the cutting edge of software development, and we innovate improvements on the newest technologies. We want people who are adaptable and can learn new things, and can use new ideas and concepts to solve business problems. Has worked with back end technologies based on both J2EE and latest frameworks like Spring. Has good experience working with one or more of architecture patterns and familiarity with others. Can resolve serious performance related issues by using various techniques, including testing, debugging and profiling. Has experience or familiarity with any of Virtualization or Containerization technologies. Has experience or familiarity with any of Message Queuing/Broking or Service Bus systems. Can architect and design apps, review design and code, review and fix tests and functional coverage. Has good current hands-on development experience. Has experience working with complete product life cycles, quality metrics, evaluating technologies, helping with estimation and budgeting, helping with planning and road maps, helping with pre-sales and technical proposals. You’ll be given responsibility for the whole process of a key technology platform. You will facilitate the platform as it supplies source, build, and test services. We expect for you to utilize your extensive experience to continually improve and redefine the developed software. You will consistently ensure quality and productivity by implementing automation wherever possible. Java EE including (Web Services, REST, JPA). MVC, and knowledge of another server-side programming language (C#, Ruby, PHP) is desired but not mandatory. 8+ years demonstrated experience designing and building large-scale, high-traffic & enterprise level Scala and Java applications. Has worked with back end technologies based on both Scala, JEE and latest frameworks like Spring. Good understanding of OO programming and design patterns. Can take ownership of, and set direction for feature development and solution architecture. 4+ years demonstrated experience designing and building large-scale, high-traffic & enterprise level Scala and Java applications. Software Development – Design and Implement new features based on customer requirements having end-to-end responsibility for delivery and quality. Drive root cause analysis of bugs and implement their fixes. Requirement Analysis – Document, analyze and estimate requirements based on customer needs. Process and Methodology – Work in an Agile environment and use tools such as Git, JIRA and Confluence to track development and issues related to a product. Communication – Perform a key role in conference calls with global team members. You will play a critical role in designing and executing cloud-based architectures. This can range from orchestrating the deployment of centralised environments on AWS infrastructure, fresh design/build work in cloud-based environments like AWS and GCE, or adapting large existing infrastructures to an AWS deployment model. You will be responsible for developing solutions to complex architectural problems, designing and delivering real enterprise-class software products to customers and being a hands-on peer leader of top development resources. As the owner for the architecture and technical delivery of multi-million dollar revenue per year enterprise software products, you will effectively work as the CTO of the engagement with a startup mindset, wearing multiple hats from lead architect and developer on the most complex elements of the product to technical team leader to solution evangelist ensuring that the customers are blown away by the technical differentiation and quality of the product. Just as an example, one project includes migrating a large infrastructure consuming over 1,500 machines globally and storing over 5 petabytes of information into AWS. This role will include implementing profound architecture changes to get ready for the cloud, phased adoption of cloud-specific services, progressive removal of legacy technologies, with the ultimate goal of full migration into the AWS cloud. Developing product expertise in a short time frame. While showing technical leadership you will still be in charge of personally addressing the most technically challenging issues in the project. We count on you as the key technical person, not a people manager! The Docker CA will be in charge of migrating products to Cloud using AWS, Docker and Aurora by taking any of our products from a legacy state, manual build/deploy processes, ancient dependencies, fragile architecture, weak security, lack of scalability or performance). Reverse engineer its legacy architecture and key flows (white box vs black box approach), understand its key weaknesses on the following pillars of cloud-readiness such as security, reliability, simplicity, performance, operational agility and automation. Design out the weaknesses, work hands-on and/or partner with and providing leadership to Product Development team. The final goal is to transform the product into a full dockerized CD pipeline with fully automated build/deploy/monitoring/resiliency processes in a fully consolidated Docker and Aurora environment with no unknown remaining legacy issues in terms of security, reliability, performance and operational agility. Key open source contributor to Docker or other DevOps projects will be considered a plus. The Kubernetes CA will be in charge of migrating products to Cloud using AWS, Kubernetes and Aurora and RDS by taking any of our products from a legacy state, manual build/deploy processes, ancient dependencies, fragile architecture, weak security, lack of scalability or performance. Reverse engineer its legacy architecture and key flows (white box vs black box approach), understand its key weaknesses on the following pillars of cloud-readiness such as security, reliability, simplicity, performance, operational agility and automation. Design out the weaknesses, work hands-on and/or partner with and providing leadership to Product Development team. The final goal is to transform the product into a full Kubernete sized CD pipeline with fully automated build/deploy/monitoring/resiliency processes in a fully consolidated Kubernetes and Aurora environment with no unknown remaining legacy issues in terms of security, reliability, performance and operational agility. Key open source contributor to Kubernetes or other DevOps projects will be considered a plus. 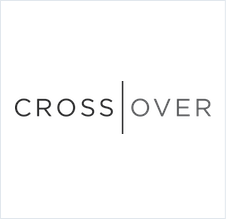 Crossover is looking for Software Engineering Managers who demonstrate outstanding managerial skills as well as the technical background to deeply understand the code their teams are developing. You will be expected to demonstrate both a mastery of the technical skills associated with the projects at hand, as well as the managerial ability to motivate, build, and monitor your team. Specifically, you will be responsible for overseeing from 4 to 6 teams of 3 to 4 individuals. You will own the process of breaking specifications created by the product management team into clear tasks and timelines, as well as assembling the results into high value, reusable components. Under your leadership, we expect to see consistent improvement in both static code quality metrics and weekly production. Capacitatea de a lucra eficient independent sau in echipe mici. Experienta in definirea, documentarea si proiectarea cazurilor de testare. Testeaza cu atentie, documenteaza temeinic toate defectele intalnite si comunica rezultatele obtinute. A fi team leader inseamna sa organizezi si sa delegi sarcini. Vei gestiona echipe si le vei monitoriza performantele. In plus, vei tine sub observatie proiectele si vei supraveghea operatiunile de zi cu zi, asigurandu-te ca munca este egal distribuita. Planifica, executa si finalizeaza mai multe proiecte in paralel, respectand termene de limita stricte si specificatiile fiecarui proiect. Implementeaza proceduri noi sau identifica si corecteaza defecte operationale in procedurile existente. Cunostinte solide de limba engleza. Mentinerea si imbunatatirea codului pentru proiectele existente. Excelente abilitati de limba engleza. Rezolva problemele aparute pe echipamentele tehnice. Experienta cu sisteme de control a versiunii, de preferinta Git. Capacitatea de a invata continuu si de adaptare la noi situatii. Imbunatatirea in mod continuu a proceselor de dezvoltare software in toate departamentele. In rolul de Unix/Linux System Adminsitrator vei fi responsabil cu gestionarea operatiunilor zilnice ale retelei iSoftBet, a serverelor si a zonei retelei de stocare a datelor. Vei proiecta/dezvolta/implementa/documenta/gestiona viitoarele solutii de retea si de sistem pentru a satisface nevoile firmei.